Tech Tip #9 - Google SheetsWhat is it? Sheets is one of Google's many collaborative productivity tools, but it is for spreadsheets. Maybe it's because I am in the sciences, but spreadsheets have always been a personal favorite of mine. 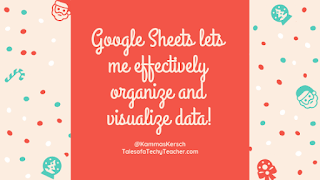 I love using Sheets to organize data, make data visualizations, create digital sign-in sheets and more. It is easy to use and like the rest of Google's suite, collaboration is at the core. On a mobile device? Download the Sheets app. On a Chromebook/Mac/PC? Go to sheets.google.com Create a new Sheet using the plus sign. Give your Sheet a name and you can get started. There are some additional graphing features that work more effectively when you are not on a mobile device, but overall it is very robust. Tip - Start by using it to organize data. Once you get comfortable with that, dive into the advanced features. If you are a Docs user, try adding your Sheet into your doc rather than making a chart in Docs. Tech Tip #8 - PodcastsWhat is it? 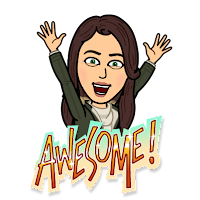 The first 7 tools I've highlighted have been for students, but it's time to switch gears and highlight one for teachers. I have found that listening to podcasts while I drive or work around the house is a way for me to continue to be a learner. I love hearing new ideas and feeling empowered to try new things. 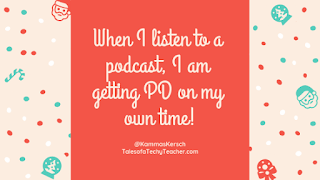 The best thing about podcasts, they're free PD and many of them have Facebook or Twitter communities to connect with the hosts or other listeners. Tech Tip #7 - NotabilityWhat is it? 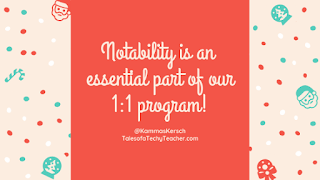 Notability is the app my students use more than any other. It is a note taking app fo iOS that allows you to import and export as PDF, handwrite, type, record audio, and so much more. 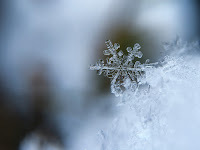 It is very intuitive to use and the students enjoy using it. 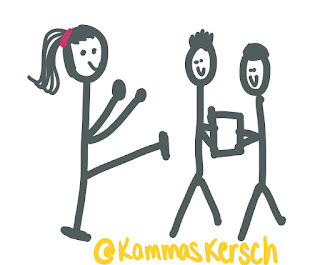 I particularly like using it to sketchnote on my iPad. It provides an outlet for both organization and creativity. Here's the catch, it is a paid app. 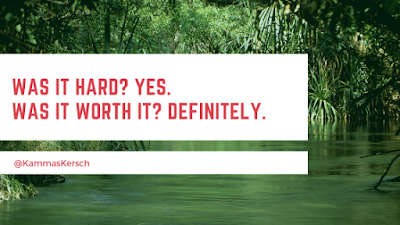 Once you purchase it, you'll find that it is well worth the price. Once you have the app, you don't need an account to use it, you just get started. I would recommend clicking on the gear and signing into a backup account. Start by making a divider and a subject to keep yourself organized.Within the subject, make your first note by clicking the pencil. Start exploring! Ginger labs got it right with this lab. Tech Tip #6 - Code.orgWhat is it? If you participated in Hour of Code las week and are looking for a way to continue learning or teaching computer science, Code.org is the place to start. I have used it for single activities, but also as my curriculum for AP Computer Science Principles for the past two years. It makes it so easy to get started with a topic that can be intimidating to teachers. 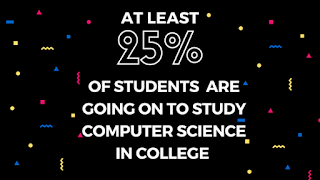 My college degree was in chemistry education, but through a variety of trainings and the materials available from Code.org I am able to successfully and confidently teach computer science. Go to Code.org and click Sign In.You can create an account or sign in using Google (my personal favorite). Then you are off to explore! 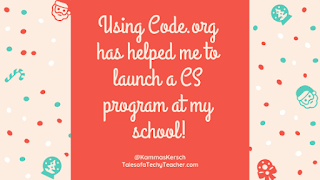 Once you are logged in you have the ability to create classes, access lesson plans, and create your own coding projects. 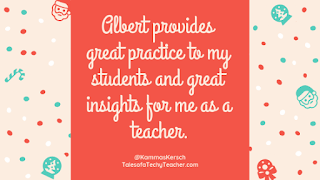 Tech Tip #5 - Albert.ioWhat is it? 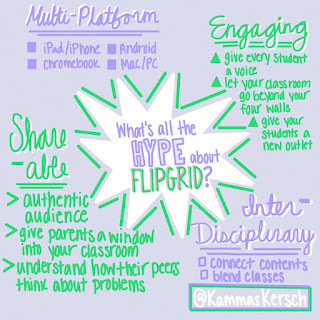 Tech Tip #4 - FlipgridWhat is it? 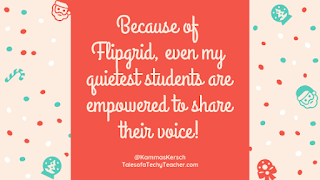 Flipgrid is one of my favorite apps that I have discovered over the last couple years. 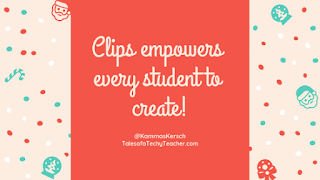 It is identified as a video sharing platform that creates opportunities to empower student voice and hear from every student in your classroom. 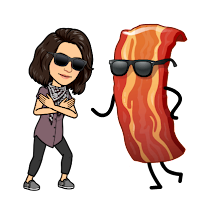 By far, my favorite thing about Flipgrid is the community it has created. I am proud to be an ambassador and have learned so much from Charlie, Joey, Adam, Jornea, and the rest of the team at Flipgrid. Tech Tip #3 - ClipsWhat is it? Download the Clips app for FREE on your iOS device. Click "Create New" to get started. Add posters, videos, or photos to get started and hold down the pink button to record. Add your voice with the live titles feature and spice up your video with the stickers and labels options. Click the music note (top right) to add a sound track and then export your finished product. You're done! It's that easy. Tech Tip #2 - Google PhotosWhat is it? 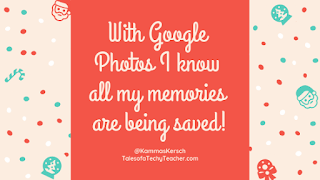 Download the Google Photos app on the mobile device you use to take pictures (YES it works on both iOS and Android)Log in with your Google accountIn "Settings" turn on "Back Up and Sync" and you are good to go! 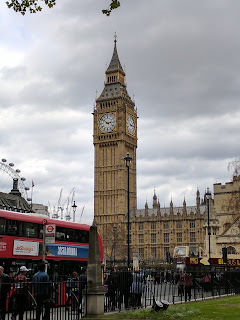 You can now go to photos.google.com and you will be able to access high quality back ups of all your pictures for free! Tech Tip #1 - CanvaWhat is it? Looking for a way to motivate yourself and learn from build a network of educators to share ideas with? 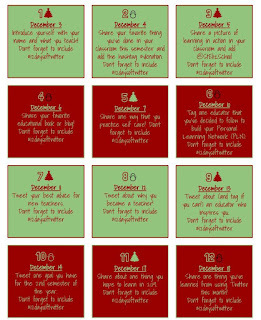 Join us for the #12daysoftwitter challenge. Step 1- Create a public Twitter account. Step 3- Enjoy meeting new educators and learning new things! It's that easy! 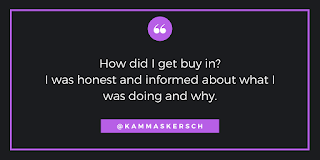 Follow me at @KammasKersch to get started. You're a teacher... so what do you do all summer? I've been thinking about how to write this post all summer and I think I have finally wrapped my head around it. 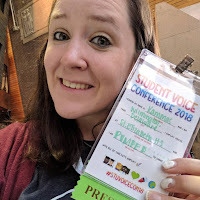 I am sure I'm not the only teacher who gets annoyed when she hears "but what do you DO all summer" so I wanted to provide a little insight into what I do. I'm a big country music fan. I have had Darius Rucker's "When was the last time" stuck in my head this week. As educators, we encourage our students to try new things and take risks, but how often do we do this same? This week, I stepped out of my comfort zone and did something new and terrifying. I presented at my first international conference, ISTE 2018. I applied on a whim last year to present on "Launching Computer Science for Every Student in Your School", a topic I am very passionate about. 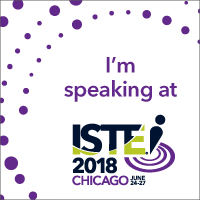 I knew that getting accepted to present at ISTE was unlikely because they receive so many applications, but I applied anyway. 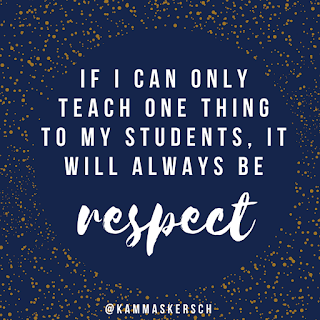 When I started teaching, I started building my tribe. 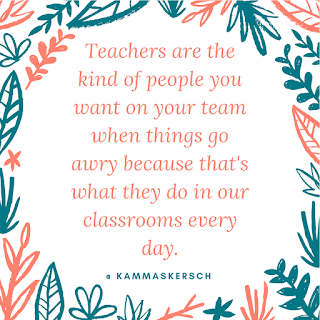 My tribe is the group of teachers that builds me up when things start to fall down, who inspire me to be a better teacher and a better person, and who are always there day in and day out. Six years in, these are a few of the "go-to" people in my tribe. 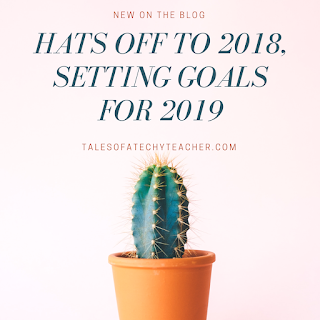 I cannot fit them all in one blog post, so stay tuned for the second installment of my teacher tribe. The one you met on day one - She is the one you met at orientation for your new school or first day teaching. She is motivated and passionate, just like you and she cheerleads for all your new ideas as you do for hers. She is a crucial member of your tribe because she started it. She's your first teacher friend. Over the last few years, grit has become a buzzword in the education community and beyond, largely due to Angela Duckworth's amazing work. On her website she defines grit as "passion and perseverance for long term goals." Check out her website for more information on Grit and watch her TED talk here. 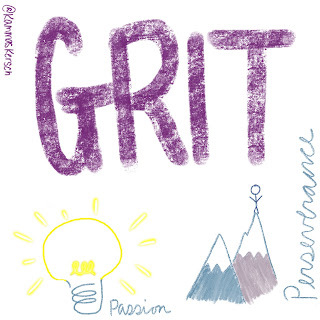 As teachers, I think we know how to recognize grit when we see it in our students. We see it when a student continues to work their hardest, despite challenges outside of school. We see it when a struggling student doesn't give up and masters a tough concept. We see it when students who felt like the world was against them walk the stage at graduation. While we know how to recognize grit, do we know how to be gritty ourselves? Teachers know the importance of modeling. We do it everyday. We model how to walk quietly in the hallway, how to speak nicely to others, how to solve a math problem on the board, and how to write a proper paragraph... but do we model grit?